Hey my name is “Amando” Walker #38971. I started playing disc golf in 2009 as a way to be more active. I played in an ice bowl event in Savannah MO. I immediately fell in love with disc golf and I began playing all the time. I met so many amazing people in Kansas City and started playing as many leagues as I could get to. Played my first tournament in bowling green KY. I had fun and played well considering I had little experience. I played a lot of tournaments including Worlds that year which was an awesome experience. I have played in many tournaments over the years, most of which had minimal woman presence. Probably one of my favorite wins would have to be the inaugural Diva Spring Feeva. 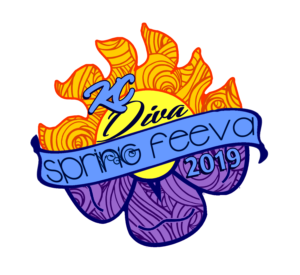 The first women only event to be held in KC and a long time dream of the OG divas and I was able to put everything together that day. Maybe it was the atmosphere, maybe because my good friends had worked so hard to run this tournament, or maybe I just got lucky but to this day it’s one of my most memorable wins. I haven’t been able to play as much recently like I used to, but the Diva Feeva will always be on my MUST list!